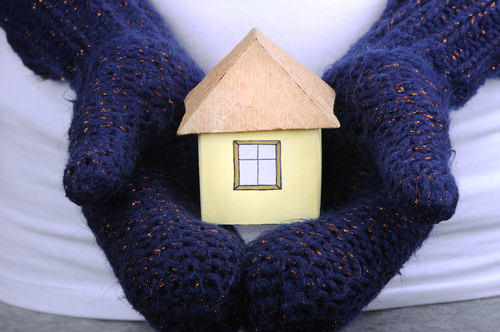 In the fall and winter, when temperatures drop, heating costs are almost sure to rise. These are the times when using a space heater can be a real energy saver — and saving energy is good for the environment and usually good for your wallet! The best way to save energy and heating costs is to turn down the thermostat a few degrees. Consumer Reports suggests that lowering your thermostat 10 to 15 degrees for eight hours can cut your heating bill by five to 15 percent a year. Odds are you don’t really need to evenly heat your entire house. Rooms and areas that you rarely use could be kept cooler to save energy. Using space heat allows you to only heat the areas you are using most, and only during the times you need the extra warmth. While there are a variety of space heaters available, the most common is electric. Electric space heaters are a popular choice due to convenience and portability. They are considered efficient because there is no heat loss through ducts or combustion, which means they are a good choice for heating small, closed-in areas of your home. Electric heaters come in several different types, each suited for a different situation. Convection heaters with a ribbon or wire heating element used in combination with a fan to move the heat away from the heater can be a good choice for use in bathrooms, workshops, and seldom-used areas of the home. Be careful with this type of heater though because they get hot enough to cause burns or fires. Radiating heaters generally provide a safer source of heat with even warmth in a limited area. These are good options for rooms in constant use that you would like a bit warmer than the rest of the house. When used properly, the risk of burns or fires is lower than with other types of space heaters. Space heaters that use a PTC (positive temperature coefficient) heating element are among the safest and most efficient heaters available. PTC heating elements are small, long-lasting ceramic stones designed to heat quickly with self-limiting temperature characteristics to make them very safe for use in homes. When considering the variety of space heaters that are available, choose one that heats effectively and efficiently, but is also safe to use around children and pets, and is less likely to cause burns or fires. Consider models with other special features like the ability to purify the air as they heat, an electronic timer, and automatic tip-over protection; keep these features in mind as you make your choice. And remember to follow some simple safety rules when using space heat in your home. Keep heaters away from fabric and other flammable materials. Make sure that there are working smoke detectors in any room where you will be using a space heater, and never use an electric heater with a common household extension cord. What is Water Conservation and Can I Make a Difference? Space Heaters are used when main heating system is inadequate or central heating is too costly to install or operate. Space heaters are self-contained, free-standing air heating appliance intended for installation in the space being heated and not intended for duct connection. If you only want to heat one room or supplement inadequate heating in one room, space heaters are less expensive. They can also boost the temperature of rooms used by people who are sensitive to cold without overheating your entire home. Electric space heaters are the only unvented space heaters that are safe to operate inside of your home. They also avoid indoor air quality concerns. I advice all to use electric heaters in their property as these heaters are really effective and provides heating in less time. The popularity of these heaters increasing day by day because of the nice feedback of these heaters.